India is widely considered to be one of the best countries in the world for vegetarians. 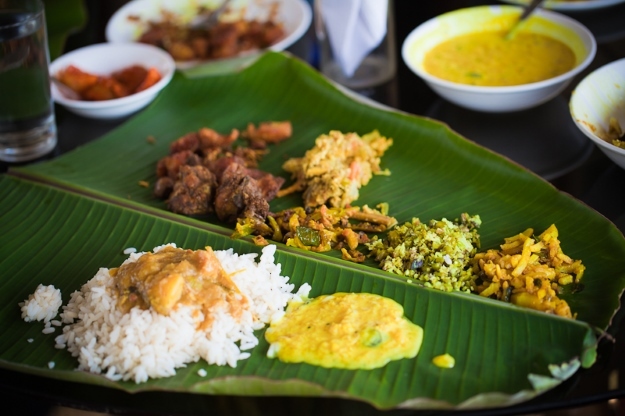 It is estimated that between 20 and 40% of India’s population is vegetarian, compared with just 2% in the UK, meaning it’s fairly easy to find exquisite vegetarian food on your travels. Religion plays an important role in the number of vegetarians in India, as Hindus, Jains and Taoists all advocate vegetarianism to some extent. Millions of Hindus worship cows as a sacred animal, so beef is scarcely on the menu in any Indian restaurant and in street food. Countries with large Buddhist populations are also popular destinations for vegetarian travellers. We’ve created this guide for vegetarians and vegans in India to help you to find the best dishes on your travels. Tucking into mouth-watering curries and delicious street food is half the fun of visiting this vibrant country, after all. Clear food labelling laws in India make things a little easier for vegetarian and vegan travellers. Packaged food products sold in India must be marked to signal whether it is lacto-vegetarian or non-lacto vegetarian. 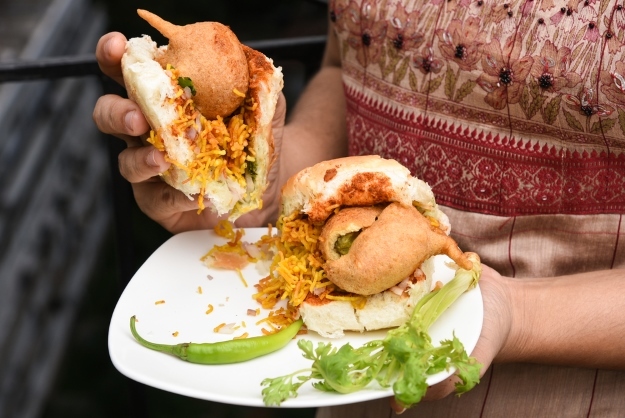 However, much of the joy when on holiday in India is exploring its famous street food. As you wander through towns and cities, the scents of freshly made chapatis and curries in many shapes and forms will be too tempting to ignore. It can be slightly daunting to travel with specific dietary requirements. It’s always helpful to learn a few words in the local language, wherever you are in the world, as this can go a long way in helping you determine whether something contains meat, eggs or dairy. Buying an India phrasebook and dictionary like this one from Lonely Planet is highly recommended as there are over 22 official languages spoken in the country. You’re in good company as a vegetarian or vegan travelling in India, so it’s fairly easy to communicate with vendors and restauranteurs to make sure you’re not consuming meat or dairy. If you find vegetarian or vegan food either in a shop or on a street food stall, be sure to stock up. Having a few spare snacks with you is always a good idea, particularly if you’re travelling long distances. Pack a few reusable food bags for your India holiday to make sure you’re prepared. This thick and creamy dish consists of fried dumpling balls made of mashed potatoes, vegetables and paneer, in a delicious curried gravy. It is one of the most popular vegetarian Indian dishes in restaurants. Vegetarians may be all too familiar with the humble kidney bean, but this mouth-watering dish transforms a staple into something unforgettable. The beans are served in a thick curried gravy, filled with fragrant traditional spices. Dal, or daal, is a prominent dish in Indian cuisine, consisting of split lentils or dried legumes. They are thoroughly cooked and soften, blending with spices to create a creamy curry. 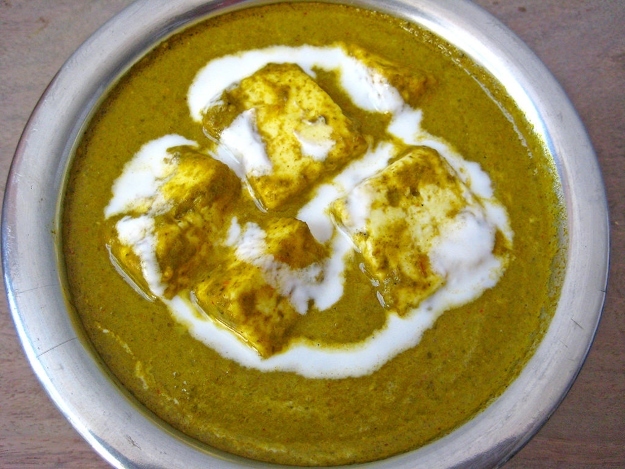 Soft paneer bathes in a smooth spinach curry in this sought-after dish. It is typically served with rotis, naan, parathas or rice. 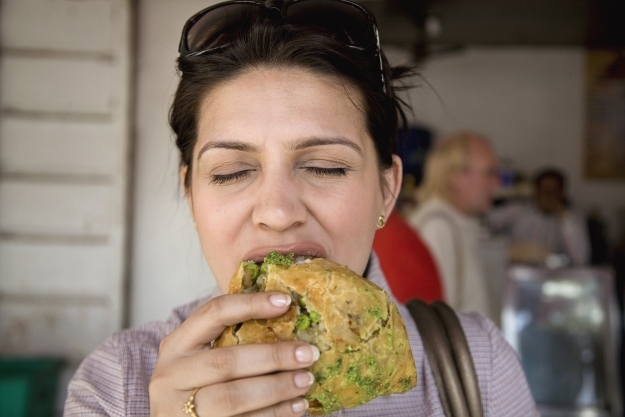 When in doubt, aloo paratha is a handy staple for vegetarians travelling in India. This traditional dish consists of a whole flatbread stuffed with spices aloo (vegetables) or a potato mixture. If you’re vegan, you can ask for the dish to be made without ghee (butter). Chole is essentially a chickpea curry made with onions, tomatoes and traditional spices to create a tasty, spicy dish. Popular in northern India, this snack is made with spinach, potatoes and green peas, which are then fried into small patties. 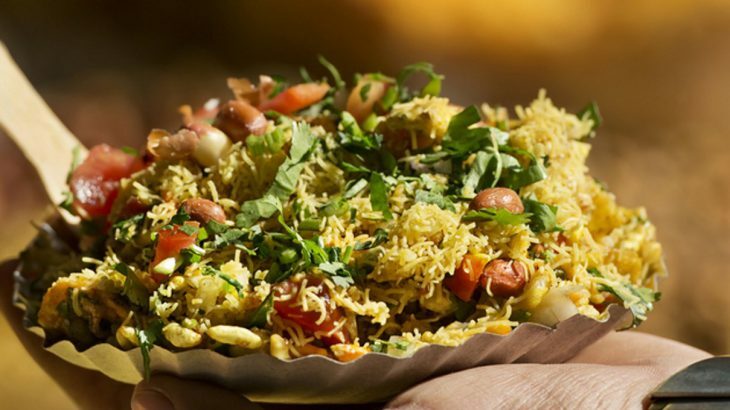 Made with puffed rice, vegetables and a tasty tamarind sauce, Bhelpuri is a popular savoury snack in India. The dish is thought to have originated in the street food stalls of Mumbai and remains prominent throughout western India. Made with an abundance of spices including nutmeg, cloves, coriander and mint, this fried rice dish is very popular in India. Vegan travellers will need to ask for this dish to be made with oil (tel) not ghee (butter). This dry curry is made with potatoes and cauliflower, spiced with curry leaves and turmeric, giving it a beautiful yellow hue. Again, if the dish is served with a chapati, ask for no butter. Common in southern India, Masala Dosa is a thin, savoury pancake made from rice and lentils, filled with a blend of curried potatoes and vegetables. Originating in Kerala, this vibrant dish is made with grated or finely chopped beetroot, ginger, chilli, coriander and other spices. Any fan of Indian cuisine will undoubtedly have tried a pakora. This Indian snack, made with spiced bread and vegetables, is perfect for vegans and can be found in many street stalls. Be sure to check that they are meat and dairy-free before you tuck in. 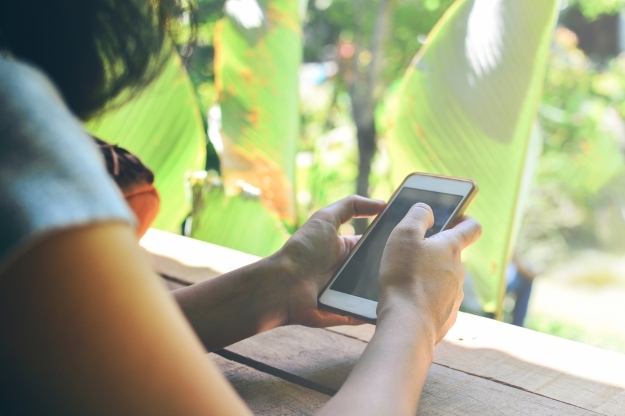 Now you’ve read our handy tips, and hopefully checked out a few of the resources available to you, you’ll be feeling totally prepared for your holiday to India. If you have travelled to India before as a vegan or vegetarian, we’d love to hear about your experiences. India adventure, food and drink, vegan. permalink. Wendy Wu’s South America Top 10!